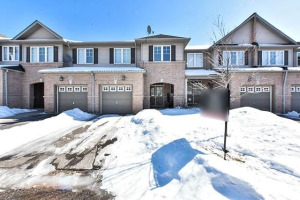 Executive Freehold Townhouse, Nestled In A Beautiful Community Of Bronte Creek Over 2300 Sq Ft Monarc Built, Boast Upscale Living And Elegant Chateau Style Brick/ Stone. 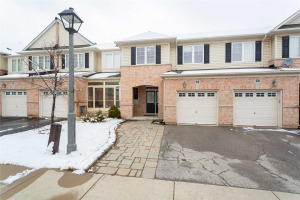 9 Ft Ceiling, Hardwood Floors, Open Concept, Gas Fireplace. The Kitchen Includes Stainless Steel Appliances And Granite Tops. Huge M Bdrm, With 5Pc Ensuite. Finished Basement With Large Rec Room And 3Pc Bathroom. Major Highways Close By, Hospital, Schools, Shopping, And Provincial Park.